Survation polled 1007 members of the public across the UK for the Daily Star Sunday right after the Olympic Opening ceremony’s finish at Saturday 1am until Saturday 1pm (28th July). We wanted to to have a clear view on attitudes to some of the key issues and events that occurred during the Ceremony which has been the subject of some media debate. The UK public thought the ceremony overall was “entertaining” (65% agreeing to 7% disagreeing), “a good representation of Britishness” (61% to 9%) and “made people proud to be British” by 50% to 13%. 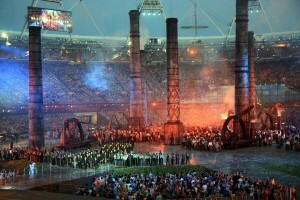 Danny Boyle’s musical choices were considered to be “entertaining and appropriate” to at least some degree by 55% of those polled (only 11% disagreeing) and the decision to have 7 young athletes light the Olympic flame was a popular one with 60% agreeing with the move and only 8% disagreeing. Sir. Chris Hoy was a popular choice as flag carrier (57% considering him the right choice vs. 5% that didn’t) and Bradley Wiggins was a popular choice to ring the opening bell (56% vs. 6% against). Value for money, length of ceremony? Responders were more split on whether the ceremony was “good value for money” 37% agreeing, 25% disagreeing (16% neutral) and many people considered the Ceremony overlong at 36% versus 26% that didn’t and 15% that were neutral. For perspective, the public do consider SPORT to be the most important aspect of the games (versus the opening ceremony) with only 18% considering the ceremony to be more important than the sport – 41% disagreeing with that sentiment. The BBC’s coverage was considered to be of a high standard by 56% of those polled (10% disagreeing) although the commentating team fared slightly worse than their institution. One could argue that the commentators detracted slightly from the overall experience on that basis, but after the Jubilee coverage controversy this appeared to be a potential minefield that the BBC has carefully avoided. Was the ceremony “too political” and was content such as the inclusion of NHS nurses an appropriate tribute? In contrast to (for example) Conservative MP Aidan Burley’s twitter comments considering the ceremony “the most leftie opening ceremony I have ever seen” – only 15% of those surveyed thought the Ceremony was “too political” with 40% disagreeing with that sentiment and 21% neutral. Further, referencing Mr. Burley’s negative comments relating to the NHS tribute aspect of the Ceremony “Welfare tribute next?”, the public considered the inclusion of NHS nurses and patients to be an “appropriate tribute” -with 52% agreeing and only 12% disagreeing. Survey questions were scripted by Director of Research Patrick Brione and Damian Lyons Lowe of Survation. For further information, please contact damian.lyonslowe@survation.com and we will be in contact.